“ What the hell? You are right. 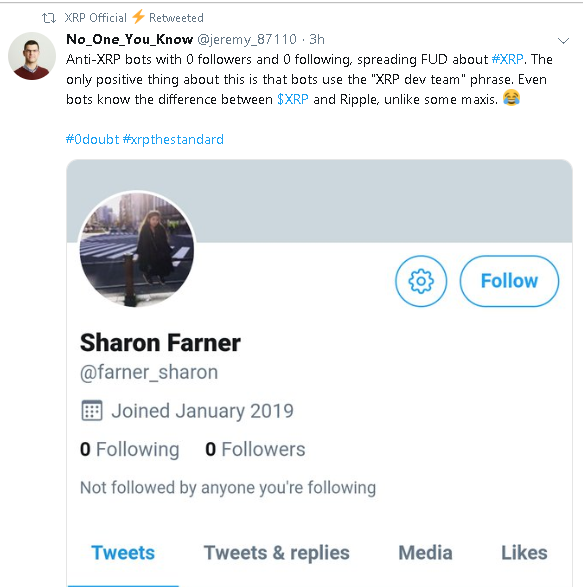 There are bots tweeting to individual users, warning them about XRP. 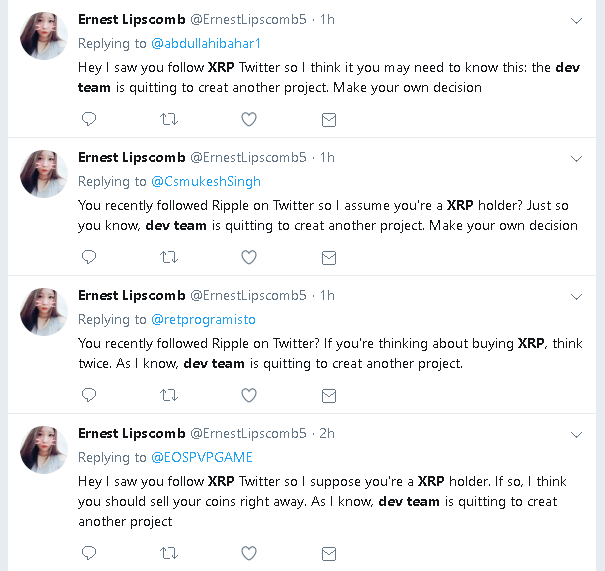 I would say report them all, but reporting too many accounts might put your own at risk.